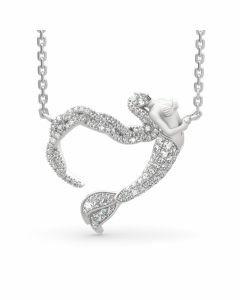 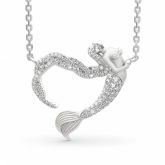 Reflect all the love in your heart with this enchanting mermaid necklace. 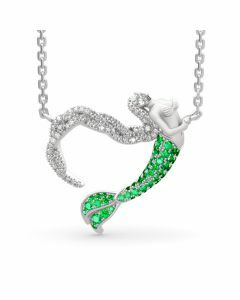 A magical, meaningful look,this necklace makes a best iconic motif for Jeulia. 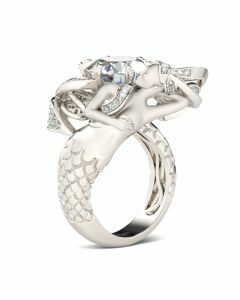 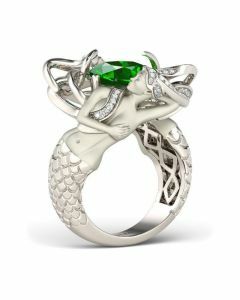 It showcases a dancing mermaid sparkles with shimmering pear and round stones. 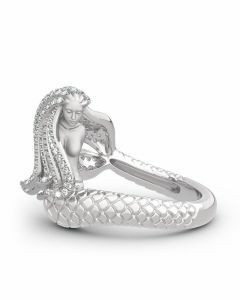 Her beautiful hair and voluptuous body form a charming heart which is a sweet symbol of the love you share, and also symbolize Jeulia's logo. 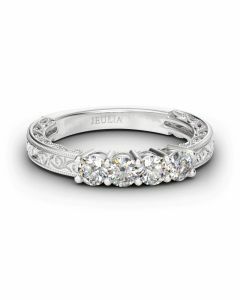 Twinkling stones, meaningful heart and delicate detailing complete this lovely style. 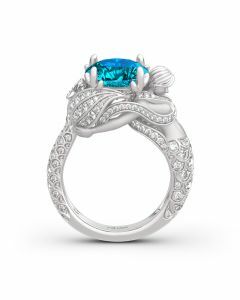 This stunning design comes in various colors to suit your age and style of dress.